I am super, super excited. I have my first ever feature in Quilt Now Magazine! 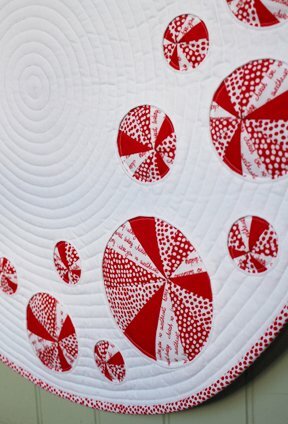 This Portholes and Pinwheels mini circular quilt/table mat features some reverse applique and some foundation paper piecing, along with lots of circular quilting! The idea for the pieced portholes has been floating around in my head for such a very long time, and it was so great to see them come to life, especially in (if I don’t say so myself) such an exciting way. 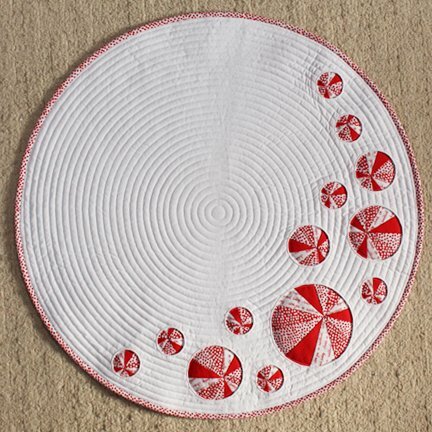 Originally I set out to make a single sized quilt but as I mulled things over in my head the design evolved and I ended up with a circular design. The team at Quilt Now styled and took the fabulous picture above. They did a really great job, don’t you think? This is certainly not a beginner project as there’s some small segments on the small pinwheels. If you are relatively new to paper piecing, don’t be totally put off, once you have the basics of FPP you should be fine. 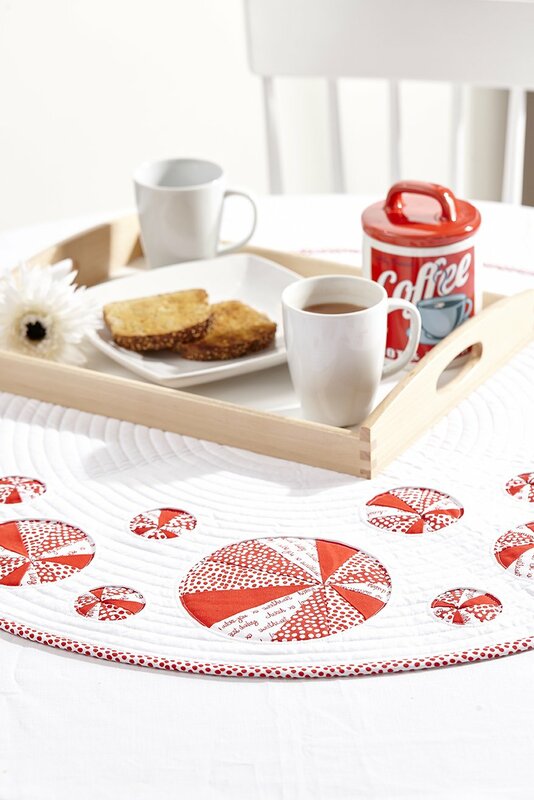 Try starting out on the largest pinwheel and work your way to the smallest pinwheel! If you are reading this post after issue 25 of Quilt Now has come off sale, you can get a back copy from More Mags. The download for the pattern pieces can be found on the Quilt Now website.